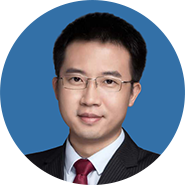 Master of Sun Yat-sen University, once worked in Jiangzhong Pharmaceutical R & D Department, Merck East Market Sales Department, China Merchants Securities, Huatai Securities Research Institute, joined Tianfeng Securities in 2016. More than 8 years of experience in the pharmaceutical industry and investment research, as a team member to participate in the 2011 new wealth third place, 2012 new wealth fourth place, 2013 new wealth finalist, 2014 new wealth second place. In 2017, he led the team to participate in the new wealth and shortlisted.